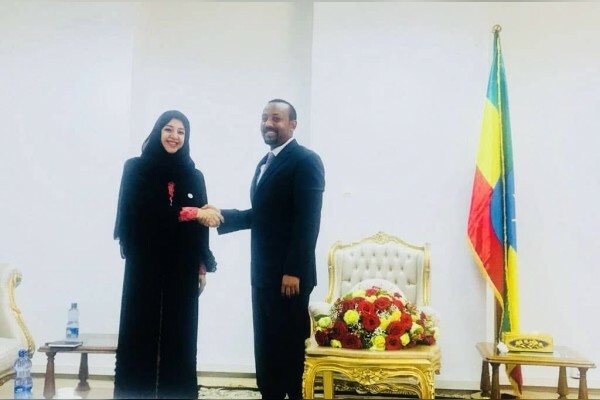 (Addis Ababa) – Ethiopian Prime Minister, Abiy Ahmed, received Reem bint Ibrahim Al Hashemy, Minister of State for International Cooperation, and discussed prospects for joint cooperation, especially in vital areas of energy, infrastructure, investment, free industrial zones and civil aviation. While in the capital, Addis Ababa, Al Hashemy held a series of meetings with Ethiopian senior officials, tackling bilateral relations and cooperation. She met with Minister of Foreign Affairs, Workneh Gebeyehu, to explore avenues of strengthening bilateral ties. UAE-Ethiopia relations have seen extensive high-level diplomatic activities following the state visit of His Highness Sheikh Mohamed bin Zayed Al Nahyan, Crown Prince of Abu Dhabi and Deputy Supreme Commander of the UAE Armed Forces, to Addis Ababa in mid-June 2018, where he held talks with Prime Minister Abiy. The visit saw the signing of a number of Memoranda of Understanding on investment, cultural cooperation and development projects. 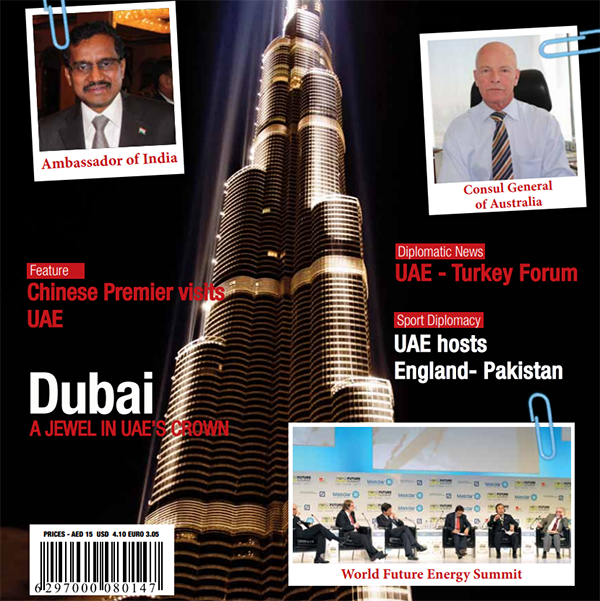 In July, Abu Dhabi welcomed the Ethiopian Prime Minister who had talks with His Highness Sheikh Mohamed bin Zayed. 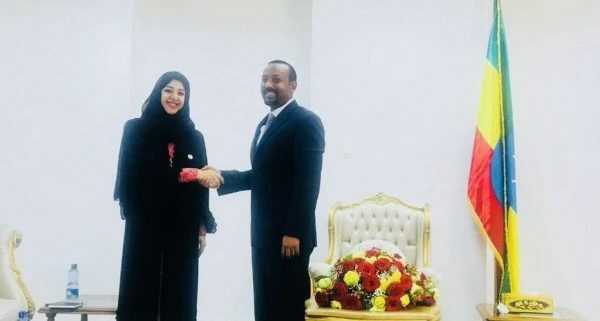 Abiy’s trip saw a tripartite meeting between His Highness Sheikh Mohamed, Abiy and Eritrean President, Isaias Afwerki, which culminated in a landmark peace agreement between the two African nations.